IVC filters are small, cone-shaped, metal devices placed in the inferior vena cava (IVC), the large vein in the abdomen that returns blood from the lower body to the heart. They help prevent blood clots from traveling from the legs to the heart or lungs. IVC filters are used in patients at risk for developing blood clots and other conditions like deep vein thrombosis (DVT) or pulmonary embolism (PE). While some blood clots are beneficial, such as those that form to stop a cut from bleeding, others can be life-threatening. If a blood clot forms in your veins or arteries where it is not needed it can cause serious, often life-threatening conditions, including heart attack or stroke. DVT occurs when a clot forms in the deep veins of the body, most often in the legs. DVT can cause swelling, pain, redness and tenderness and can be caused by immobility, injury, surgery, hormone therapy or pregnancy. PE is a condition in which a blood clot blocks one or more arteries in the lungs. PE can occur when a blood clot from the deep vein in the arm or leg breaks away and travels to the lungs. Symptoms of PE include shortness of breath, chest pain and cough. These conditions are often treated with anticoagulants, or blood thinners, such as Xarelto, Coumadin, Warfarin or Heparin. In many instances, patients who are implanted with an IVC filter cannot be treated with anticoagulation medication. How long should IVC filters remain in the body? IVC filters were originally designed to remain inside the body indefinitely. In the early 2000s, however, the Food and Drug Administration (FDA) approved the first retrievable IVC filters. These new filters were designed to be implanted on a temporary basis in patients, though some are advertised as either temporary or permanent devices. In 2010, the FDA warned that retrievable IVC filters should be removed once a patient’s risk for pulmonary embolism had subsided. This would cut down on the risk of long-term complications associated with the filters, since complications may be associated with how long the device is implanted, the FDA said. What are some complications of IVC filters? What are the symptoms or side effects of device migration? Device migration is a potentially serious complication of IVC filter implantation. 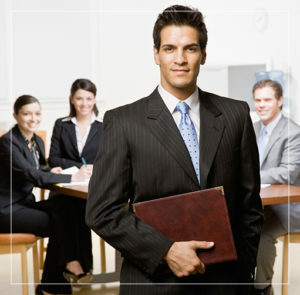 It was also the most common complaint reported to the FDA between 2005 and 2010. 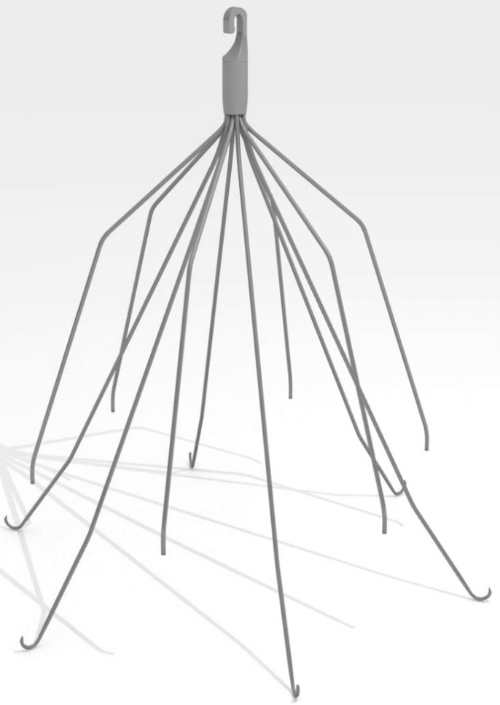 There are numerous case reports in medical literature regarding IVC filter device, including filters that migrate from the inferior vena cava to the heart. IVC filters can also migrate and become embedded in the veins or other organs. How effective are IVC filters? Some studies show a slight benefit to using IVC filters in high-risk patients in the short-term, while other studies show the benefits may not outweigh the risks of using IVC filters. An assessment published in 2011 by the California Technology Assessment Forum on the safety and effectiveness of IVC filters could not definitively say whether or not there was a benefit to using IVC. A study published in the Journal of the American College of Cardiology in 2014 did show a decreased risk of pulmonary embolism in high-risk patients who could not take anticoagulants. Study authors did not find an increased benefit of IVC filters over anticoagulants when patients were able to take the blood-thinning medications. The authors only followed patients for 30 days after IVC placement, however, and some retrievable filters left inside patients for long periods of time end up causing adverse health effects later. Different agencies provide different guidelines when it comes to using IVC filters in patients. The Eastern Association for the Surgery of Trauma promotes IVC filters in certain patients. Trauma patients are especially at-risk for pulmonary embolism and deep vein thrombosis and may not be able to take blood-thinning medicines because of the risk of excess bleeding. The American College of Chest Physicians, on the other hand, states that for major trauma patients an IVC filter should not be used for primary pulmonary embolism or deep vein thrombosis prevention. How does the IVC filter placement procedure work? Patients at high-risk for pulmonary embolism or deep vein thrombosis who are not good candidates for anticoagulants may have an IVC filter inserted. The filters are inserted into the inferior vena cava, the large vein in the abdomen that returns blood from the lower body to the heart. Patients typically remain awake during IVC filter procedures and local anesthesia is used at the insertion site to numb the area. Physicians insert IVC filters through the large vein in the neck or groin using a special catheter. Contrast dye is injected into the vein and x-ray images are used to determine the safest place to deploy the IVC filter inside the inferior vena cava. The procedure usually takes about an hour, and patients are asked to rest for the next 12 to 24 hours before being sent home. How does the IVC filter removal procedure work? Patients who receive a retrievable IVC filter should have the filter removed as soon as the risk for deep vein thrombosis or pulmonary embolism subsides. Research suggests the risk for serious complications increases the longer the IVC filter remains inside the body. IVC filter removal is not always as easy as placement, especially if the filter has moved from its initial position. Assuming the filter has not moved, a physician will retrieve the filter almost the same way he or she put it in. Creating a small incision in the neck or groin, the physician uses contrast dye and x-ray images to locate the filter and ensure it is safe to remove. The physician then uses a catheter-based snare to grab the hook on the filter, envelope it and remove it from the body. The procedure becomes less safe when the IVC filter is found to have moved, perforated other organs or fractured. In some cases, physicians were unable to retrieve even temporary filters because the filters migrated to an area of the body that was unsafe for removal, such as the heart. What are the manufacturers of IVC filters? What are some brands of IVC filters? There are several different brands of IVC filters on the market today. Some manufacturers have more than one brand that they sell. VenaTech LP vena cava filters – B. Braun Interventional Systems Inc. The FDA issued a class 1 recall of the OptEase retrievable vena cava filters made by Cordis Corporation, a Johnson & Johnson company, in March 2013. A class 1 recall is the most serious type of recall because there is a reasonable risk of serious injury or even death associated with the device. The FDA said the filters were being inserted into patients backwards and Cordis would be updating the instructions for use to decrease the chances of more devices being implanted incorrectly. About 33,000 filters were affected by the recall, sold during a three-year period between 2010 and 2013. Bard Peripheral Vascular, a C.R. Bard Inc. company, recently withdrew three vena cava filter systems from the market, though no recall was ever issued by the FDA. Those filters include the G2, G2 X and Eclipse vena cava filters. Is it safe to get an MRI with an IVC filter? Magnetic Resonance Imaging (MRI) provides 3-D images of soft tissues in the body like the brain and spinal cord. MRIs use static magnetic fields to create the images of the body. These magnetic fields are measured in a unit called a tesla. Most MRIs create a magnetic field of about 0.5-tesla to 2.0-tesla. 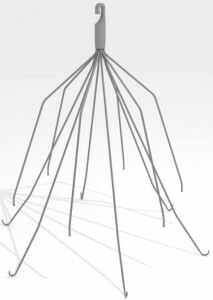 Only one IVC filter has been deemed “safe” when undergoing an MRI by the American Society for Testing Materials: the Greenfield Titanium vena cava filter made by Boston Scientific. Boston Scientific’s other Greenfield vena cava filter is MR conditional 2, meaning patients should wait six weeks after IVC filter insertion before getting an MRI. Most other IVC filters are MR conditional 5, meaning it is safe to get an MRI with these filters only if specific guidelines are followed. These filters include: Cook Celect and Bird Nest, Bard Eclipse, Recovery G2 and G2 X (no longer marketed), Cordis OptEase and TrapEase, and B. Braun VenaTech. Other IVC filters are MR conditional 6, meaning it is only safe to get an MRI immediately after IVC filter insertion and if the static magnetic field is 3.0-tesla or less. These filters include: ALN, Volcano Crux, Cook Günther Tulip, Bard Simon Nitinol, and Argon Option and Option Elite. Bard’s Meridian vena cava filter (which is no longer marketed) is MR conditional 8, meaning it is only safe immediately after placement and in a static magnetic field of 1.5-tesla and 3.0-tesla only. Have IVC filter lawsuits already been filed? Hundreds of lawsuits against the makers of some IVC filters have already been filed in U.S. courts in the past few years. To streamline the process, many of those cases have been consolidated in federal court into multidistrict litigation (MDL). MDLs are unlike class action lawsuits, in which one party represents a large group, and settlements or judgments are divided evenly among all participants. In MDL, each case is heard individually, but a company may choose to settle multiple MDL cases at once after the first couple are tried in court. Currently, more than 380 cases are pending in a multidistrict litigation (MDL) in the U.S. District Court for the District of Arizona against Bard Peripheral Vascular. The lawsuit alleges Bard’s IVC filters were defective and the company is liable for selling them to consumers. The Bard MDL is presided over by U.S. District Judge David G. Campbell. There are also more than 340 cases pending in an MDL in the U.S. District Court for the Southern District of Indiana against Cook Medical. This lawsuit alleges Cook not only sold defective products but it engaged in deceptive sales practices. The Cook MDL is presided over by U.S. District Court Chief Judge Richard L. Young. Have there been any settlements of IVC filter lawsuits? In 2015, Bard settled with a plaintiff in Nevada after the 10th day of trial. The sum of the settlement was not disclosed. The plaintiff received one of Bard’s Recovery filters which traveled to his heart after being implanted in 2005. Bard settled another trial in 2015 for an undisclosed amount after only 11 days of trial. The unnamed plaintiff was also fitted with a Recovery filter.